Nine out of 10 leading retailers price their private label products lower than the average prices of their respective categories, reveals the latest DataWeave study, drafted in collaboration with SunTrust Robinson Humphrey The study reveals that an increasing number of retailers are viewing private label brands as a way to ensure sustained profitability. Product assortment is emerging as a driver that’s as critical as pricing when it comes to customer retention. 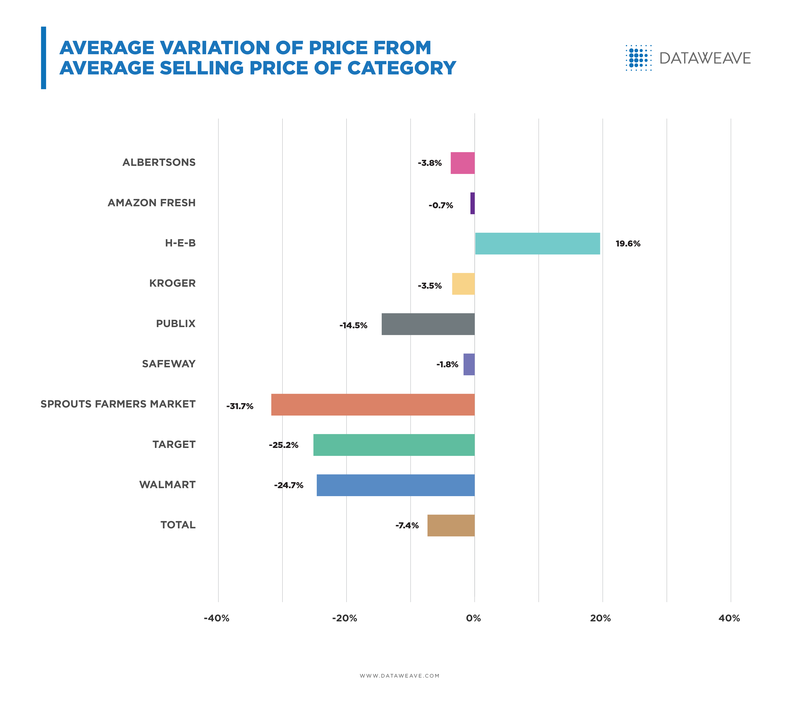 Target, H-E-B, and Kroger have a head start here, offering the largest product assortments among the retailers analyzed. A sharp assortment strategy customized to local tastes and preferences is key to sustaining and enhancing customer satisfaction. Albertsons, Walmart, and Amazon Fresh lead here, revealing a higher focus on localized assortments. “Home” and “Beauty & Personal Care” categories lead the distribution of private label products across retailers. The focus on these categories echoes a similar focus among national brands as well. These categories have the highest overall brand concentration, with around 4,000 brands each.